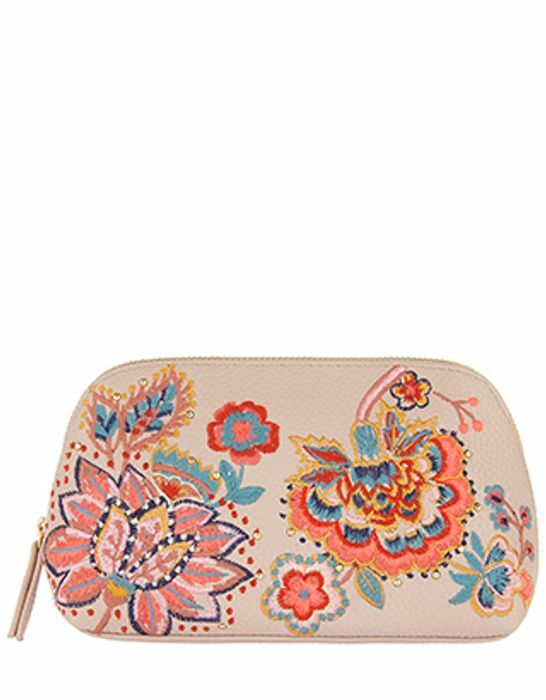 Designed in faux leather and embroidered with folkish florals, our Nomad washbag brings bohemian chic to your dressing table. It features metal stud detailing and a zip fastening. What do you think of this Accessorize deal? I know, I'm kicking myself I just bought myself one in the Boots sale as this one is lovely!